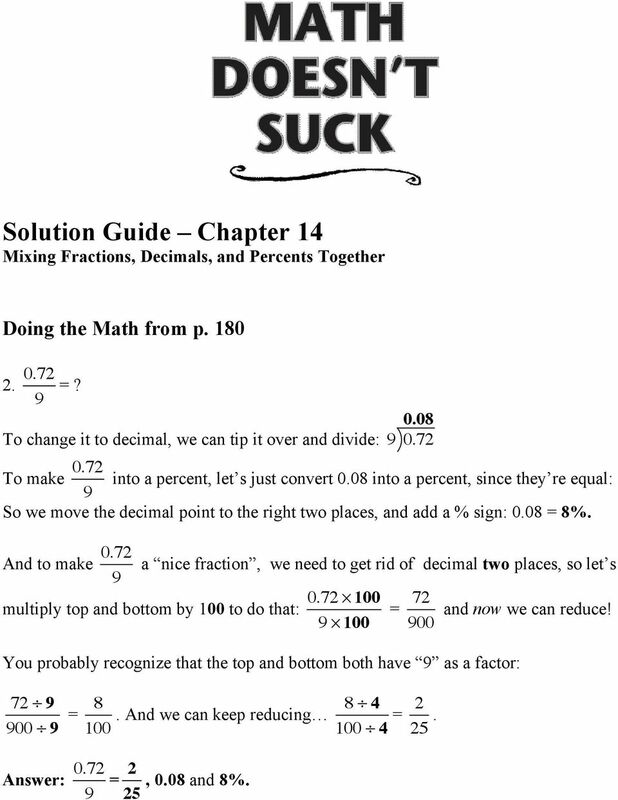 Download "Solution Guide Chapter 14 Mixing Fractions, Decimals, and Percents Together"
1 Solution Guide Chapter 4 Mixing Fractions, Decimals, and Percents Together Doing the Math from p =? 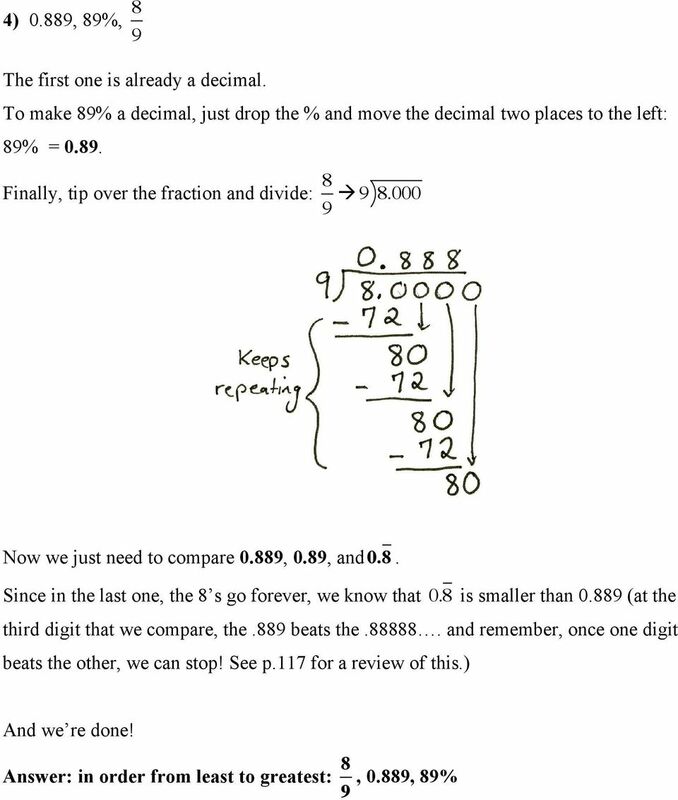 0.08 To change it to decimal, we can tip it over and divide: To make 0.72 into a percent, let s just convert 0.08 into a percent, since they re equal: 9 So we move the decimal point to the right two places, and add a % sign: 0.08 = 8%. And to make a nice fraction, we need to get rid of decimal two places, so let s multiply top and bottom by 00 to do that: 0.72! 00 9! 00 = You probably recognize that the top and bottom both have 9 as a factor: = And we can keep reducing = Answer: = 2, 0.08 and 8%. 25 and now we can reduce! 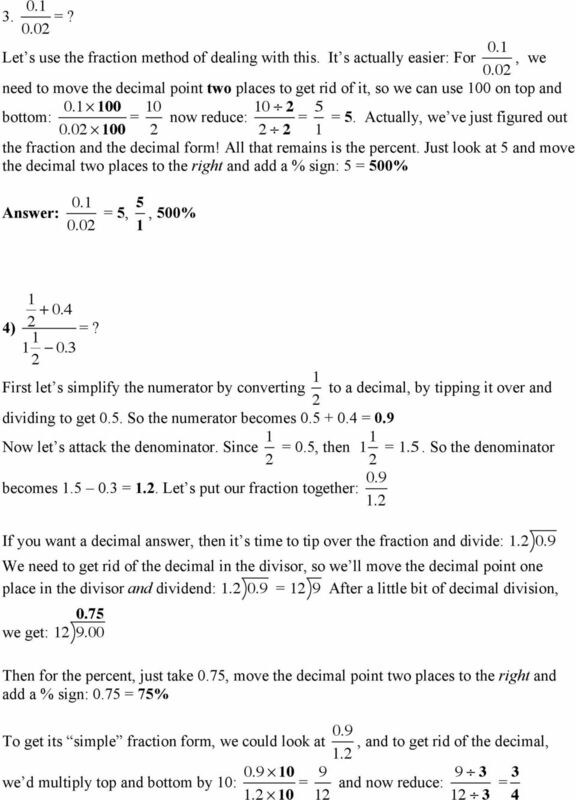 DECIMAL REVIEW. 2. 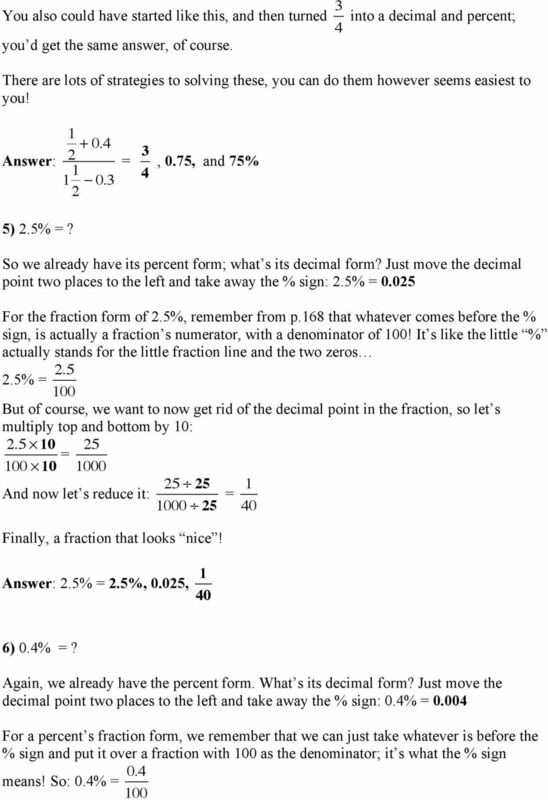 Change to a fraction Notice that =.791 The zero in front of the decimal place is not needed. Round decimals to the nearest whole number Learning Objective Simplifying Fractions Simplified Fractions To simplify a fraction, we find an equivalent fraction which uses the smallest numbers possible. Tips, tricks and formulae on H.C.F and L.C.M. Follow the steps below to find H.C.F of given numbers by prime factorization method. When multiplying whole numbers we are counting a repeated set of items. Exercise 1: How many pizza boxes are there? DECIMALS are special fractions whose denominators are powers of 10. CONNECT: Powers and logs POWERS, INDICES, EXPONENTS, LOGARITHMS THEY ARE ALL THE SAME! LESSON PLANS FOR PERCENTAGES, FRACTIONS, DECIMALS, AND ORDERING Lesson Purpose: The students will be able to: 1. 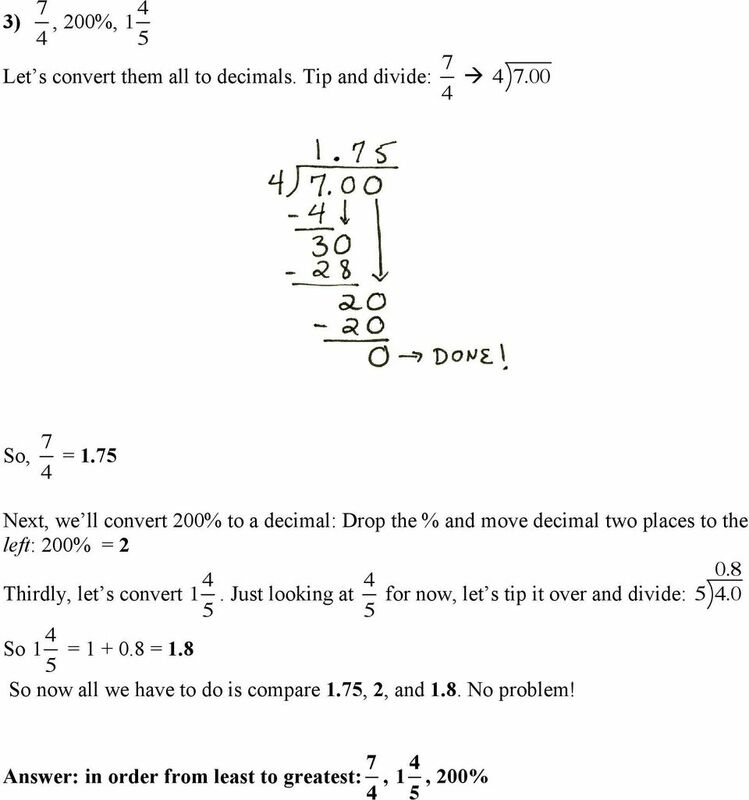 Change fractions to decimals. 2. Change decimals to fractions. 3. 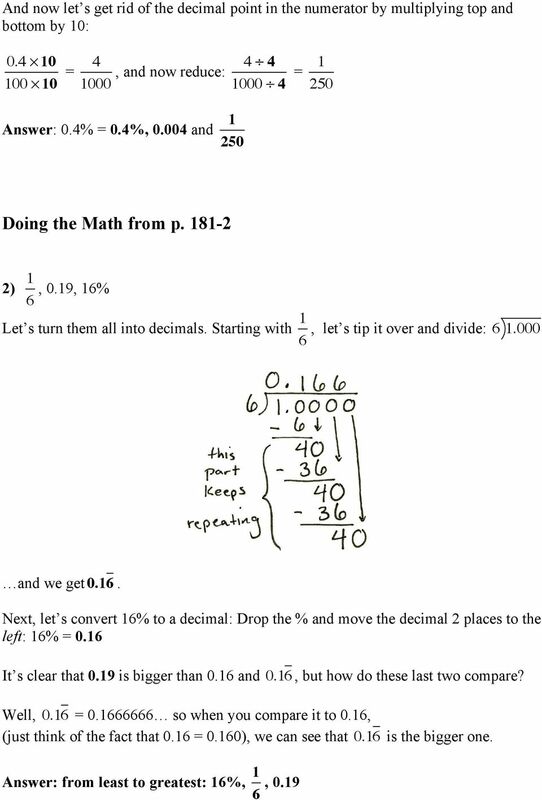 Change percents to decimals. Exponents. Exponents tell us how many times to multiply a base number by itself. 100 which when written as a decimal is 0.06. Make the denominators the same, convert the numerators by multiplying, then add the numerators. Decimal Notations for Fractions Number and Operations Fractions /4.NF Domain: Cluster: Standard: 4.NF Number and Operations Fractions Understand decimal notation for fractions, and compare decimal fractions. 1004.6 one thousand, four AND six tenths 3.042 three AND forty-two thousandths 0.0063 sixty-three ten-thousands Two hundred AND two hundreds 200. Square roots, Inequality Symbols, and More with Fractions This section discusses some terminology and more how on how to simplify fractions without a calculator. Square roots: The square root symbol is.